Thoughts: Another strange helmet. This one has a safety sticker in it and that is it. There are no identifying features as for manufacturer. The photo to the right is about as close as I can find to it. A great find! this helmet was part of their away uniforms. Manufacturer: none listed. It has a Franklin name on the back of the helmet, but that is typically an advertisement so I'm guessing Fotoball or Rawlings and possibly a promotional helmet. Thoughts: All I have to say is I hate the "TM" symbol where it is placed. Give me a break. Thoughts: The young stud Dale Murphy! Thoughts: Another of the Fotoball retro helmets that they put out. Thoughts: One of those "duck bill"
helmets that I mention throughout this website. Come to find out, this helmet was sold at Fulton County Stadium in '74 along with the helmet above. helmets that I mention throughout this website. It is just a variation of the one above. Thoughts: Another "duck bill" helmet, but the strange thing about this helmet is that this company got it right for once. The Braves did have a hat that had a red outline around the "A" logo. I'm still trying to figure out the years this lasted. uniforms go with this helmet. Thoughts: It doesn't look like it in the photo, but this "A" logo is slightly fatter than the one above. Thoughts: Just a supersized logo as was most of the Fotoball helmets that were put out during their short run. 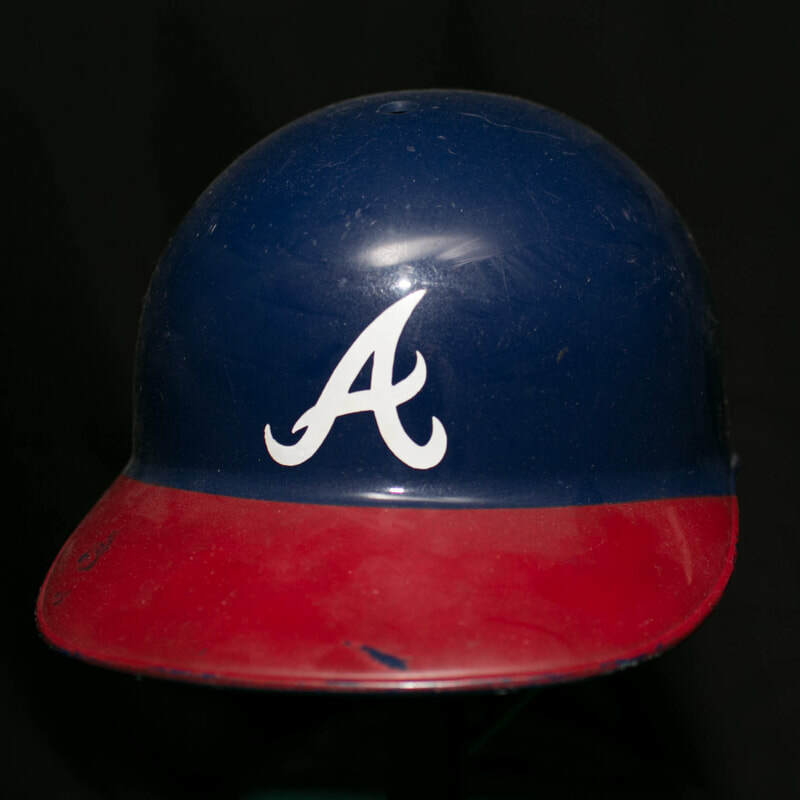 Thoughts: I don't think the Braves have ever worn this helmet. It is also the only one I have ever found. It does have a Turner Field $10.00 sticker on the inside so it wasn't a promotional, but who knows? Thoughts: Just another promotional helmet from the Braves? Thoughts: Just another promotional helmet from the Braves.